[ICSF] E-LibraryJournal ArticleFewer Places to Hide? The Impact of Domestic War Crimes Prosecutions on International Impunity. Fewer Places to Hide? The Impact of Domestic War Crimes Prosecutions on International Impunity. This article will examine the developments in the domestic arena to achieve a higher level of impunity for international crimes. After examining the historical and international context, it will look at a number of mechanisms, which have been utilized to accomplish this goal. The first level of examination is to determine how countries have adjusted their legislation to ensure that it is possible to prosecute international criminals especially in the wake of the high number of ratifications of the Rome Statute4 . Then the focus will shift to the recent trend of war crimes prosecutions, including prosecutions based on territorial jurisdiction by the country where the crimes occurred, or active nationality jurisdiction where perpetrators were nationals of the prosecuting country or based on universal jurisdiction where there is no link between the location of the crime and the country bringing the prosecutions except for the fact that in most cases the perpetrator has fled to the country in question. 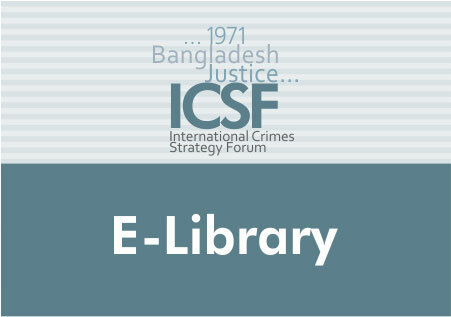 The overview of the various mechanisms will conclude with an assessment of the application of international criminal law in the various countries by looking at developing trends in domestic prosecutions as well as discussing emerging legal issues pertaining to the notion of universal jurisdiction and the elements of the international crimes of genocide, war crimes and crimes against humanity.